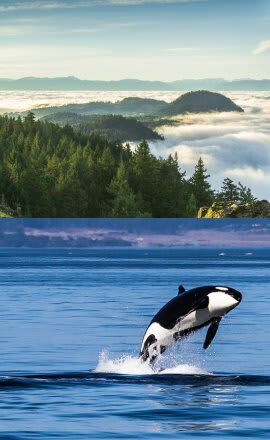 Tourism Victoria is a destination marketing organization that markets Victoria B.C., and the surrounding area, to the world. Victoria is a unique blend of old world charm and new world experiences. As an island destination, Victoria offers visitors an escape from the hurried world and beams with ambiance. 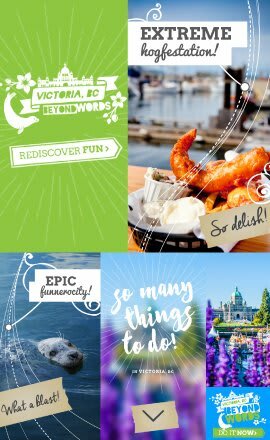 The overarching goal was to execute a programmatic campaign during April, May, and June that would attract visitors to Victoria. The plan was to reach aspirational influencers as well as authentic and affluent travelers in Vancouver, Calgary, Toronto, Edmonton, San Francisco, and Seattle. Tourism Victoria had previously been working with a marketing agency that was doing an adequate job. However, they recommended the same media buy for every campaign. Feeling that their marketing efforts were getting stagnant, Tourism Victoria began searching for a new partner that would bring fresh ideas with them. 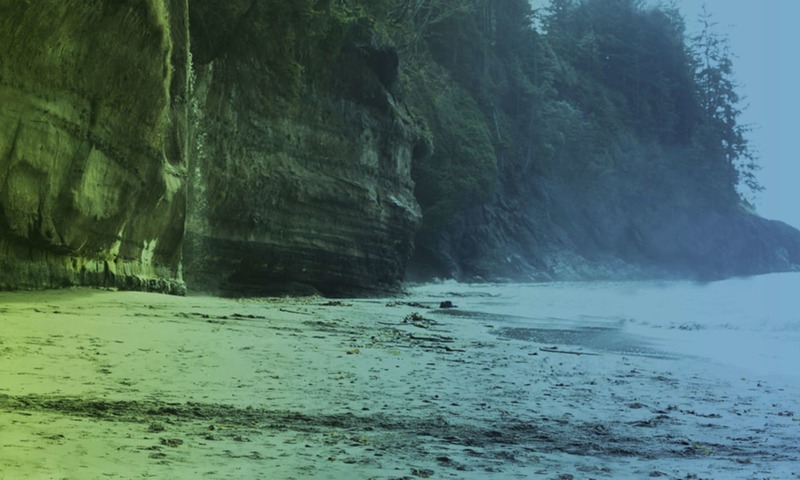 Optimizing ads to get the best results was only one of Tourism Victoria’s concerns. They also wanted to work with a partner that had the buying power necessary to make their ad buys more cost-effective. 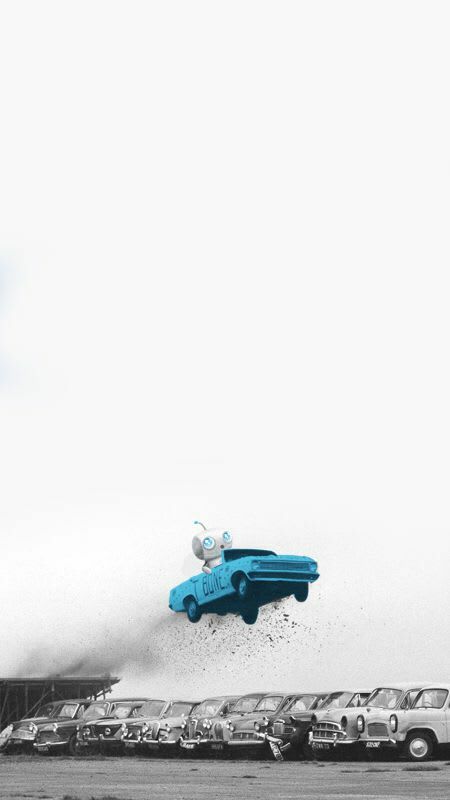 And, they wanted to work with a partner that was on the cutting edge of new advertising opportunities. When a new opportunity arose, Tourism Victoria wanted to be in on it. Operating as a demand-side platform, War Room specializes in placing digital advertising which encompasses search, video, display, native, and social ads. Our objective for Tourism Victoria’s Spring 2017 Campaign was to leverage our significant ad buying power to take their ads and place them in front of Tourism Victoria’s target demographic. Through our collaborative and transparent process, we were able to do that effectively and efficiently. “War Room brings the expertise surrounding where we should be advertising. What sites. What times. What types of digital ads are going to get the most bang for the buck,” says Jennifer of Tourism Victoria. 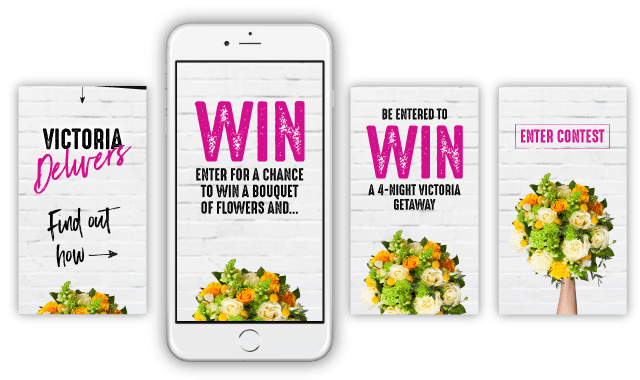 There were three phases to the campaign that featured a contest in which a winner would receive a trip to Victoria or a daily bouquet of flowers. Phase 1 – A focus on awareness surrounding the contest. 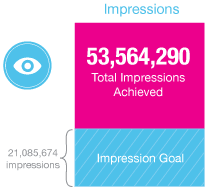 During this phase, we measured impressions from a range of touchpoints that included Pinterest, video ads on YouTube, and Facebook ads. Phase 2 – A focus on conversions. During this phase, the goal was to get the targeted demographic to visit Tourism Victoria’s website and sign up for the contest. 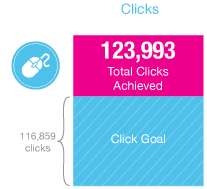 To do this, we used Facebook, Facebook Lookalike, native ads, and display ads. Here, we measured lead captures. Phase 3 – A focus on engagement. Here we pushed to increase the time each visitor spent on Tourism Victoria’s website. At War Room, we not only delivered results by leveraging the power of artificial intelligence, but we also provide our clients, in this case Tourism Victoria, with extremely detailed analytics. War Room helped Tourism Victoria greatly exceed their goals for impressions and clicks. Additionally, both conversions and conversion rate were outstanding. I will absolutely be continuing to use War Room. All of my marketing friends and people I work with that need help on digital, I recommend War Room. I’m going to give you my number one frustration that War Room completely solved for us. I felt before with other agencies that I just wasn’t getting the deep level of analytics that War Room is able to provide. War Room goes that extra step to really analyze where people are bouncing out and why they’re bouncing out. We were able to tweak and optimize our website every week of the campaign to get better and better results.